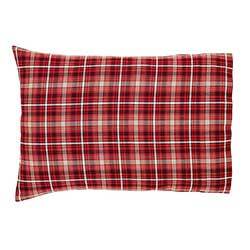 Embracing its early American inspiration, the Braxton Euro features apple red, natural, and ebony plaid cotton on both sides with a turned edge seam. 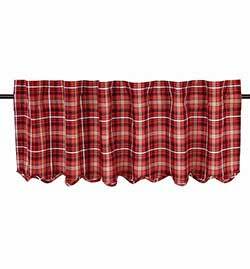 Finish your bedding collection with the Braxton Skirt, featuring the coordinating apple red, natural, and ebony black plaid. 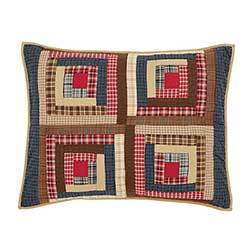 Americana inspired, hand-quilted, and very soft, Braxton King Quilt features log cabin blocks in a palette of navy blue, apple red, and natural tan for a cheery country decor look. 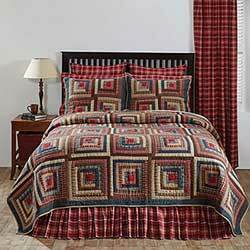 Americana inspired, hand-quilted, and very soft, Braxton Luxury King Quilt features log cabin blocks in a palette of navy blue, apple red, and natural tan for a cheery country decor look. Embracing early American patchwork, the Braxton Luxury Sham features navy, apple red, and natural log cabin blocks on the front. 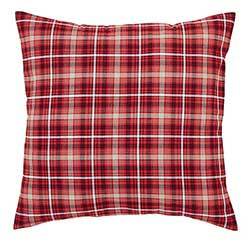 The Braxton Pillow Case Set is a soft, all-cotton pleasure in traditional Americana shades of apple red, natural, and ebony plaid. 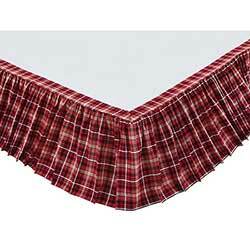 Finish your bedding collection with the Braxton Skirt, featuring the coordinating apple red, natural, and ebony black plaid. 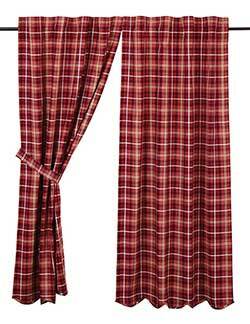 Finished with hem fold, gathered ruffle and 16 inch drop. Americana inspired, hand-quilted, and very soft, Braxton Queen Quilt features log cabin blocks in a palette of navy blue, apple red, and natural tan for a cheery country decor look. 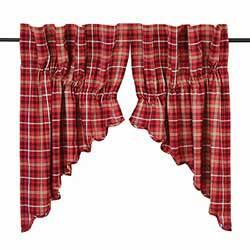 Frame your windows with country Americana-inspired charm with the Braxon Panels, featuring a cheery country plaid of apple red, natural, and ebony black. 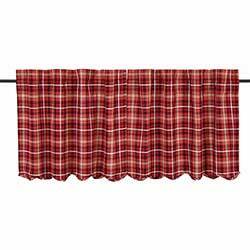 Brighten your windows country style with the Braxon Cafe Curtains, a set of tiers featuring an Americana inspired plaid of apple red, natural, and ebony black. 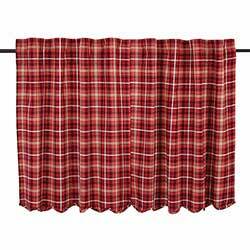 Add a touch of Americana-inspired charm by framing your windows with the Braxon Prairie Curtain, featuring a cheery country plaid of apple red, natural, and ebony black. Add a touch of Americana-inspired charm by framing your windows with the Braxon Prairie Swag, featuring a cheery country plaid of apple red, natural, and ebony black. 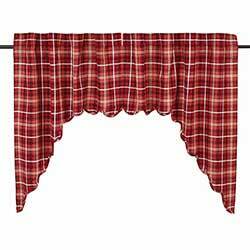 Add a touch of Americana-inspired charm by framing your windows with the Braxon Swag, featuring a cheery country plaid of apple red, natural, and ebony black. 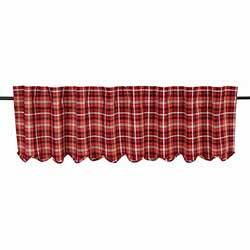 Brighten your windows country style with the Braxon Valance, featuring an Americana inspired plaid of apple red, natural, and ebony black. 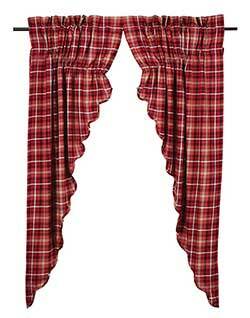 Lined with white cotton. 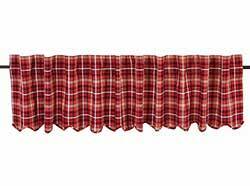 Brighten your windows country style with the Braxon Valance, featuring an Americana inspired plaid of apple red, natural, and ebony black. Embracing early American patchwork, the Braxton Standard Sham features navy, apple red, and natural log cabin blocks on the front. 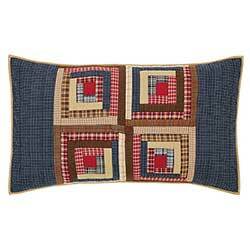 Americana inspired, hand-quilted, and very soft, Braxton Twin Quilt features log cabin blocks in a palette of navy blue, apple red, and natural tan for a cheery country decor look.